Spring, 1946. Ten months after the end of World War II, an explosion rocks the Pacific off the coast of Hawaii. America has just destroyed one of Japan’s most advanced weapons systems – the I-401 aircraft carrier submarine. The supersub combined the stealth and tactical advantages of sea and sky and was invented to execute air strikes on land from the sea. But why did America sink one of its most prized military captures? Bound by an agreement to share any intelligence with the Soviets but feeling the pressure of the looming Cold War, it was a calculated decision to keep the technology out of Soviet hands. Six decades later, a team of researchers from the University of Hawaii located the submarine’s remains. The discovery of the sunken sub sparks a new examination of its forgotten place in military history. THIRTEEN’s Secrets of the Dead: Japanese SuperSub recounts Japan’s superior submarine technology and reveals how close the Japanese came to using the subs to blow up the Panama Canal, terrorize the U.S. and possibly enact a deadly biological attack. The film premieres nationally Wednesday, May 5, 2010 at 8 p.m. (ET) on PBS (check local listings). Actor Liev Schreiber (Taking Woodstock and X-Men Origins: Wolverine) narrates. The need for the aircraft carrier subs arose after the attack on Pearl Harbor and America’s entry into the war. 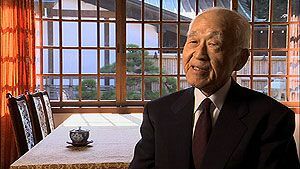 Realizing that the Japanese Navy could not compete head-to-head with the machine and manpower of the U.S., Harvard-educated Admiral Isoroku Yamamoto decided that the Japanese needed a way to strike quickly, terrorize American citizens and sap America’s willpower for an all-out war in the Pacific. 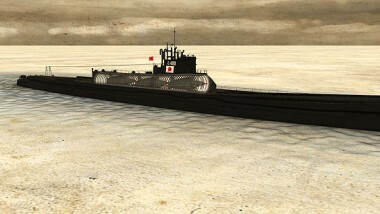 After experimenting with some small attacks on the U.S. West coast, Yamamoto came up with the idea of a fleet of aircraft-carrying subs that could launch attacks on the American mainland. Designing and building the subs, however, was no easy feat. The aircraft hangar made them too top-heavy for a standard submarine layout, so the Japanese engineers came up with an innovative twin-hull design that could support the hangar and airplane launch ramp. The sub’s specialty bombers, called Seirans, also had to be custom designed. They had wings that could rotate and fold up, a tailfin that could fold down, and a method of heating the engine oil underwater so that the planes didn’t have to warm up on the surface, where they were most vulnerable to attack. The submarine was also heavily armed with four anti-aircraft guns and eight torpedo tubes, and had a special rubber and asphalt coating that helped prevent it from being spotted by enemy radar. The subs were ahead of their time, but by the time they were ready to set sail, their mission was outdated. The Japanese entertained the idea of using them to launch biological attacks on U.S. cities, sending them to blow up the Panama Canal, and ultimately, using them to attack American aircraft carriers of the Island of Uthili. They might have succeeded, but America’s super-weapon arrived just in time, and the Atom bomb put an end to the war. Japanese SuperSub brings viewers first-hand veteran accounts from sailors and pilots who manned the Japanese subs, and from the American sailors who captured them. The engineering logistics and battle plans, explored by military historians, highlight just how innovative the submarines really were. The documentary examines two nations engaged in a war, and in a secret, experimental arms race. In the U.S., it was the Manhattan Project, with top scientists racing to create the atomic bomb. In Japan, it was the I-400 project, to build a submarine that could wrestle the advantage from a far superior American force. Once shrouded in secrecy and still with classified components, the powerful supersubs are finally being acknowledged as the precursor to modern attack submarines, and perhaps the greatest weapons that never did battle. THIRTEEN’s Secrets of the Dead: Japanese SuperSub was produced by Windfall Films and Spy Pond Productions for THIRTEEN in association with National Geographic Channel and WNET.ORG. Eric Stange is producer/director, Anna Saraceno and Jackie Mow are co-producers, and David Dugan is executive producer for Windfall Films. At THIRTEEN, Jared Lipworth is executive producer. William R. Grant is executive-in-charge.